The governor of New York Andrew Cuomo has declared a public heath emergency in his state from the current flu epidemic. 27 people have died in Illinois from this strain of influenza. Despite the Centers for Disease Control assurances that flu cases are waning, people are justifiably concerned about getting sick. There are many simple, natural ways you can protect your family from the flu! 1. Keep your home humid to naturally prevent the flu. Here’s a novel potential public health measure against the flu—kick up the humidity. 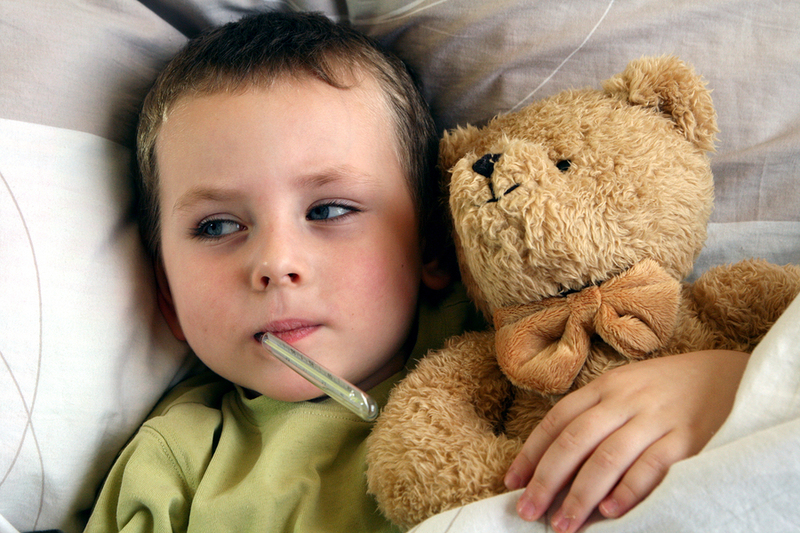 The cold, dry months of winter signal the start of flu season. But previous research found only a weak correlation between the spike in flu rates and the drop in relative humidity. Now researchers from Oregon State University say that’s because it’s absolute, not relative, humidity that counts. Their study is in the February 9th edition of the Proceedings of the National Academy of Sciences. 2. Get plenty of rest to naturally prevent the flu. 3. Stay hydrated to naturally prevent the flu. The plain water is the best, however water with lemon juice, sweetened with honey, black tea, herbal tea, or fresh sugar-free juice (you may dilute it with water) are also good choices. Drinking plenty of water will keep you well hydrated. And proper hydration is essential to a strong immune system and overall health. Water flushes your system, washing out the poisons as it rehydrates you. How to know if you are getting enough fluids? If the color of your urine is close to clear, you’re getting enough. If it’s deep yellow, you need more fluids. 4. Eat whole foods (7-10 servings organic fruit and vegetables) to naturally prevent the flu. Nutrition specialist, Lisa Hark, the director of the Prevention Program and Nutrition Education department at the famous University of Pennsylvania, declared that according to the recent studies, a proper diet and a smart lifestyle helps you to easily avoid all those sniffles, aches and stuffy nose. These foods, which are largely fruits and vegetables, enhance your immune system and regulates your internal processes. Of course, it is ideal not to wait until you really get sick, but to implement this change in your diet as soon as possible. According to most of the specialists’ opinions, it is much better to rely on fruits and vegetables than vitamins or supplements. Eating a fruit will make you fully benefit of all vitamins and minerals it provides. For example, eating a big orange is a much better choice than just taking a couple of pills of Vitamin C each day. This is because the orange gives you the best combination of vitamins: Vitamin C and B6 and nutrients: potassium, folate and magnesium. 5. Wash your hands to naturally prevent the flu! All influenza viruses are spread from person to person in respiratory droplets propelled by coughs and sneezes from an infected person to the mouth or nose of another person. They also spread when a person touches respiratory droplets on an object or person and then touches his or her own mouth or nose. Teach your child to cough or sneeze into a tissue and then throw the tissue away, or in the inside of his or her elbow (the “crook” of your arm). The single most important thing you and your child can do to prevent the spread of influenza virus is — Wash Your Hands! Rub your hands thoroughly with soap and warm water for at least 20 seconds be sure that you reach every surface of you hands and finger nails. That is the amount of time it takes to recite the alphabet — or to sing the “Happy Birthday” song twice. Alcohol-based hand cleaners are also available. Of course, there are many other natural methods to help you prevent the flu, such as vitamin supplements and herbal remedies to boost your immune system; however, these five tips are easy for everyone to implement and are widely accepted by the medical community.